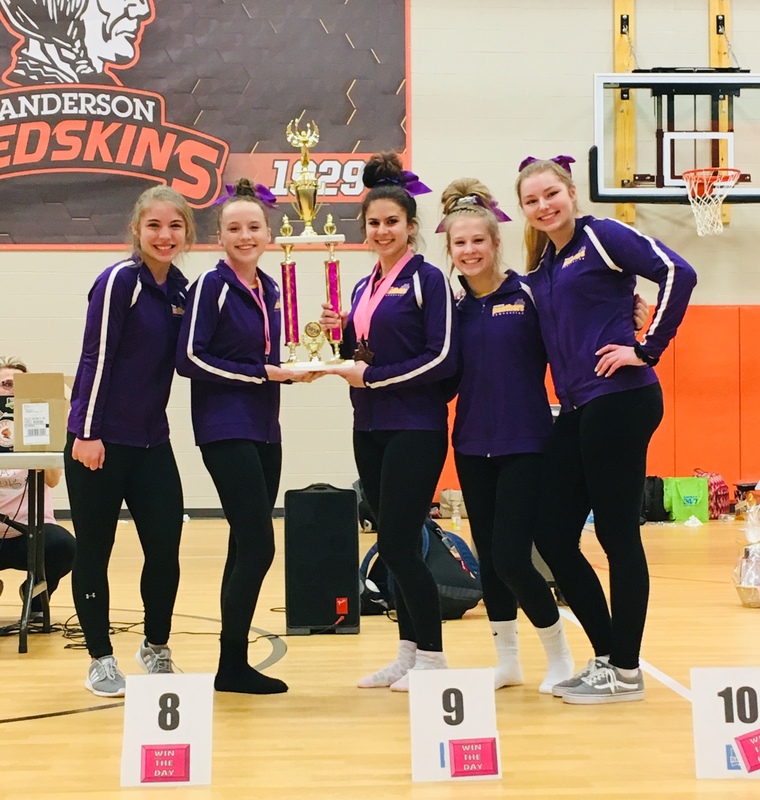 The Panther gymnastics team finished 3rd place in Cincinnati and the Win the Day Invitational. Alyssa Delffs placed 9th on the vault, 14th on the uneven bars, 3rd on the balance beam, 4th on the floor exercise, and 6th in the all around. Haley McNutt finished 20th on the vault, 19th on the uneven bars, 7th on the balance beam, 19th on the floor exercise, and 11th in the all around. Cassie Durham finished 27th on the vault and uneven bars, 25th on the balance beam, 37th on the floor exercise, and 21st in the all around. Kylie Miller finished 40th on the vault, 43rd on the uneven bars, 37th on the balance beam, 31st on the floor exercise, and 32nd in the all around. Macy Kreiner finished 31st on the vault, 52nd on the uneven bars, 22nd on the balance beam, 33rd on the floor exercise, and 24th in the all around. Danielle Bartek finished 47th on the vault, 45th on the uneven bars, 49th on the balance beam, 54th on the floor exercise, and 37th in the all around. Great job girls! !